With the help of the various cross country ski associations, Mammoth Lakes has developed a trail system in the Inyo Forest. Currently some of the trails are being groomed by the Mammoth Nordic group. The Blue Diamond Cross Country Trail System extends from the Visitors Center outward and includes many trails inside of the town limits as well. 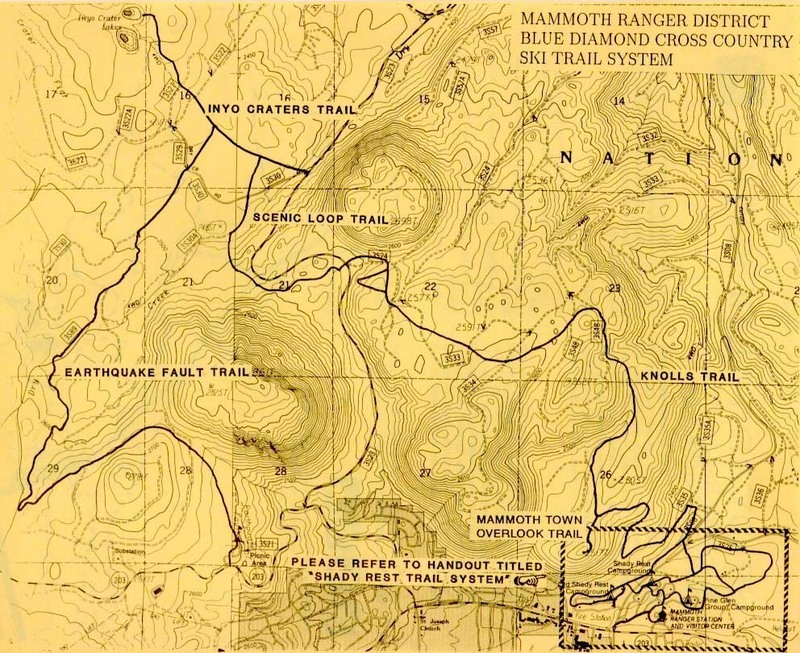 A detailed map can be obtained at the Welcome Center.